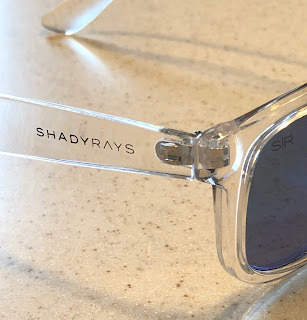 I’ve only tried one pair of Shady Rays, but I can confidently say that these are affordable, quality sunglasses that look good and get the job done. And if you’re the type of person that wants to feel good about the companies you do business with, Shady Rays gets some points there too. They are an independent sunglasses company that provides 11 meals for every order to help fight hunger in the U.S. through FeedingAmerica. To date, they've provided over 2.6 million meals to fight hunger. "Making the best shades for 24/7 action." & "Live Hard. We Got You." Those are the bars that Shady Rays has set for their brand of sunglasses. They're aiming for an audience of active outdoor types...like sailors. To see if they can live up to the slogans, let's look at how they are constructed and what Shady Rays does to stand behind their product. 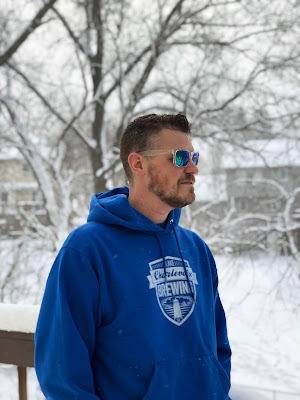 Each pair features shatter-resistant, high-visibility Polarized lenses construction with a lifetime craftsmanship warranty and free replacements if lost or broken. While the craftsmanship warranty shouldn't be a surprise, free replacements for lost and broken sunglasses is a nice perk. They also include free shipping, returns, and exchanges with new orders. Note that you'll have to pay a shipping/handling fee if you make a lost/broken warranty claim. 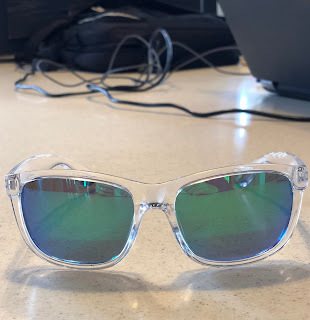 The specific pair of sunglasses I tried for this post are the Signature Series Emerald Ice Polarized. I chose these because of the classic shape combined with the slightly edgy clear gloss frame and blue-green mirror lenses. It's sort of an old-meets-new look. The plastic frame does feel durable and the metal hinges have kept their original tight feel through my many cycles of opening and closing the bows. The lenses provide a crisp view with a light gray tint looking out. To get technical, the visible light transmission (VLT) is 13% which makes these good for bright sunlight conditions. If you want something darker for even brighter conditions, the Blackout lenses have a VLT of 8% but you loose that cool mirror finish. Need something for lower light conditions such as dusk, dawn, and cloudy days? Try the Glacier lenses and their VLT of 18%. For me, the Emerald lenses hit the sweet spot. So far, I've only been to use this in bright snowy conditions, but based on the protection and clarity they provide, I'm confident they'll get the job done on the water too. So those are the Shady Rays Signature Series sunglasses - a good looking frame shape with multiple lens choices and crisp vision. They don't come with a fancy case (a microfiber pouch is included) or a snobby reputation, but you'll get functionality and style for about $45. 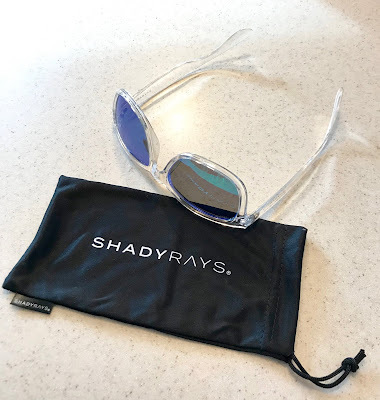 Ready to shop for your pair of Shady Rays? 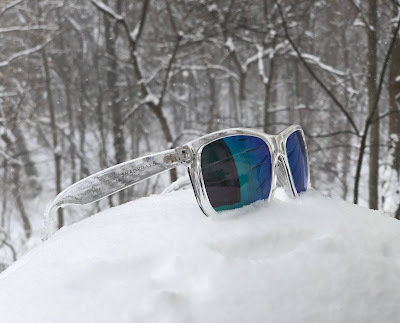 You can find the Signature Series sunglasses here in a variety of frame colors and lenses.